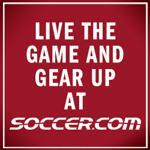 ALL U9 players, returning and new, must register for the spring season. The fee for U9 players (born 2010) is $155 for returning players (players who played in the fall season, and $210 for new players (includes uniform). INFORMATION MEETING - There will be parents meetings for all players (and players considering joining the Competitive program) prior to the end of regular registration. U9 Parents Meeting (players born in 2010) - Monday, January 28 at 7:00pm at the Harmon Activity Center. ALL RETURNING U10 players are registered for the spring season. DO NOT RE-REGISTER for the spring. The fee for new U10 players (born 2009) is $125. This is a one time fee for the soccer year (Aug 1 to July 31). Players will still have to pay for their selected tournaments, leagues, coaching and uniforms. INFORMATION MEETINGS - There will be parents meeting for all players (and players considering joining the Competitive program) prior to the end of regular registration. Both meetings at the Kearney Public Library. All new players must complete this form. Returning players use this link for replacement or additional uniform items.